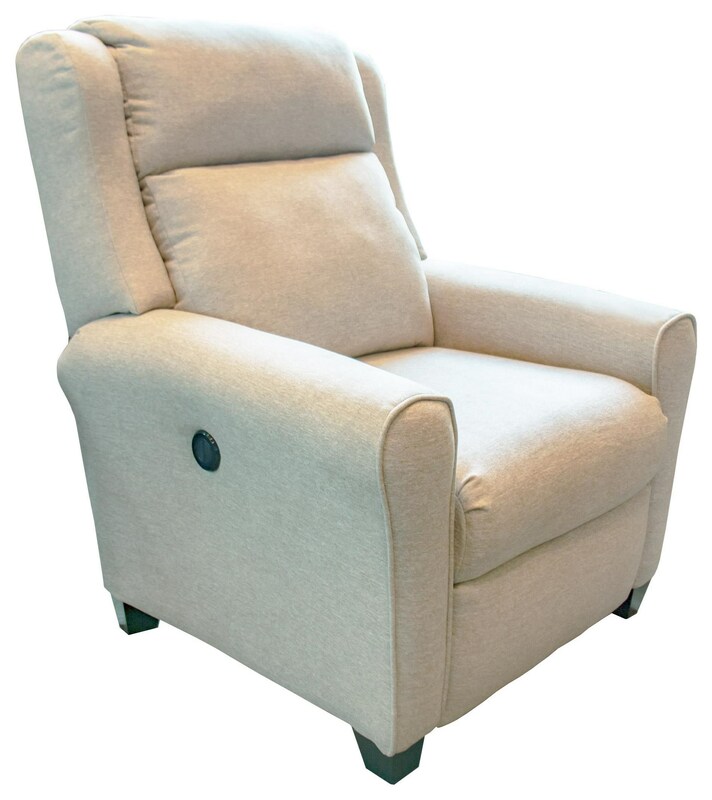 The Cool Springs power recliner offers contemporary twist on a classic recliner design. Tear-drop shaped upholstered arms are topped with gently sculpted wings. The plush padding of the bustle back and pad-over-chaise seat combines with an internal layer of memory fiber to provide extreme head-to-toe support, for relaxation like you've never experienced before. Tobacco stained taper block feet complete the clean, contemporary look and make this recliner a perfect neutral complement to any furniture group. The Cool Springs Beige Power High-Leg Recliner by Southern Motion at Great American Home Store in the Memphis, TN, Southaven, MS area. Product availability may vary. Contact us for the most current availability on this product.